Despite it being Day 5 of Juneathon yesterday, it started out being a VERY lazy day! We didn't get up until about 9am, before going to pick up a new (read second hand) sofa that we'd bought from ebay. Aside from a bit of furniture shifting that I did to get the old sofa out, and the new one in, I then proceeded to spend the rest of the day sat on the new sofa...ostensibly trying it out, to make sure it was comfy ;) (it was...looks like new and is lovely!). 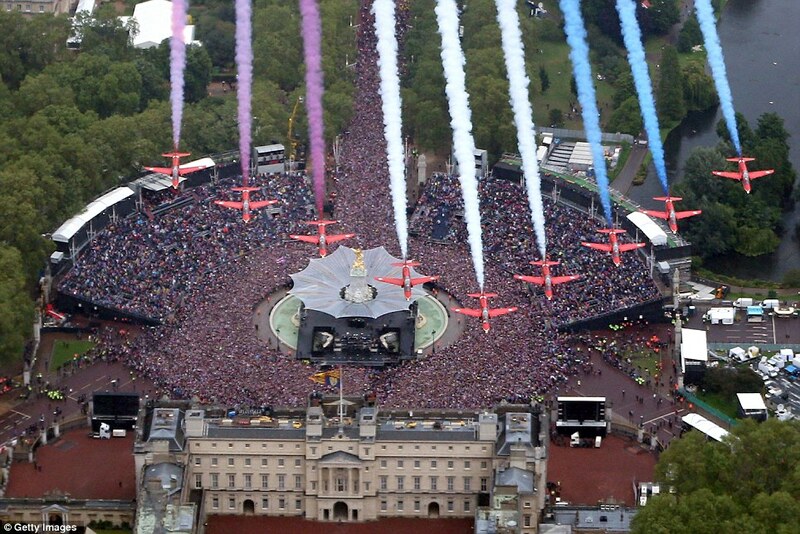 As it was the last day of the Jubilee celebrations, we watched the parade through London, the amazing crowds of wonderful flag wavers, the displays by the guards and the flypast on TV, but even after that was all finished, I still managed to find more TV to watch. I'm very pleased to say that even though I devoured a huge but delicious take-away dinner, and despite the weather outside last night being absolutely atrocious, at 10pm (two hours after dinner to let it digest a bit) I did lace up my trainers and get out of the door. lovely people below, so thank-you all! @naominf do it do it now! @naominf zip up you're man suit and get on with it. Earn that dinner! @naominf run to get the takeaway? The long way round! @naominf I am dithering re my run too. Had a nap for an hour after our Street Party. We really SHOULD go. How about 7.30pm? @naominf doooooo it, you will feel better once sat on the sofa again. @naominf Go for it and the take away will be guilt free! @naominf Go out for a run before the takeaway boy arrives!